Patricia Zimmermann, professor of cinema, photography, and media arts, has published Mining the Home Movie: Excavations in Histories and Memories (University of California Press). Patricia Zimmermann, professor of cinema, photography, and media arts, delivered the keynote address at the Future Histories of the Moving Image conference at the University of Sunderland, England, on November 15. Her address was entitled "Migratory Archives." 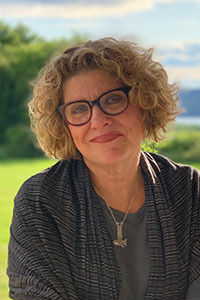 Patricia Zimmermann, professor of cinema, photography and media arts, and codirector of the Finger Lakes Environmental Film Festival, was a featured speaker at the Virginia Film Festival, which ran November 1-4 in Charlottesville, Virginia. Thomas Shevory, professor of politics, and Patricia Zimmermann, professor of cinema, photography, and media arts, were invited speakers at the National Alliance for Media Arts and Culture conference in Austin, Texas, on October 20, 2007. Shevory and Zimmermman are codirectors of the Finger Lakes Environmental Film Festival (FLEFF). The multimedia performance, Quatro Estaciones Portenas (The Four Seasons of Buenos Aires 1964-1970, by Astor Piazzolla) -- featuring two pianists, tango dancers, and multiple screen projections -- was performed at the Austin City Limits studio in Austin, Texas, on October 19, 2007.